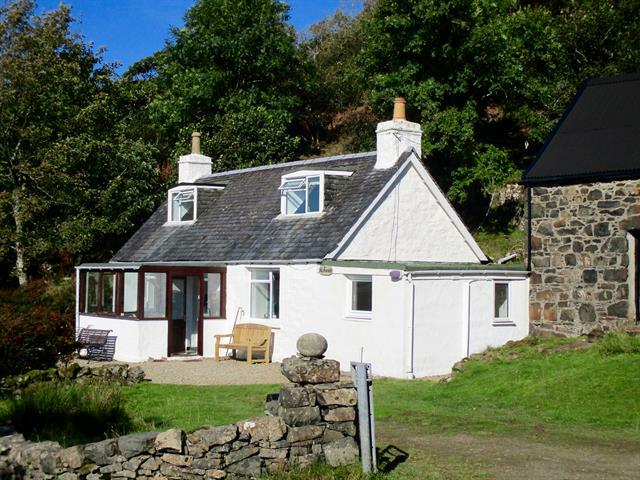 ‘Na Fuarain’ is a traditional crofter’s cottage just 50 yards from the shore which has been tastefully renovated and upgraded. 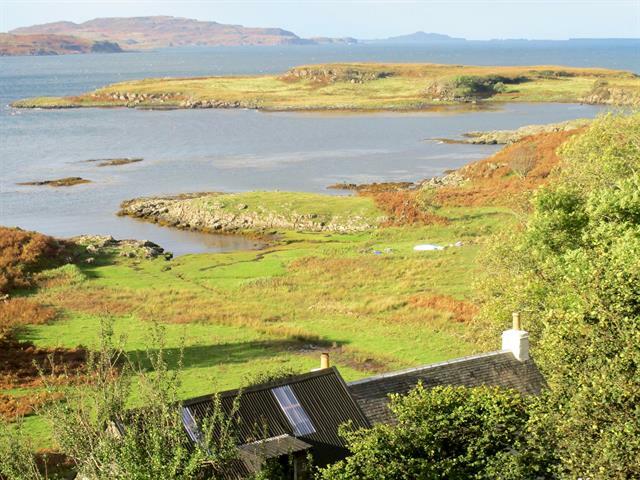 The cottage is located on Loch Tuath, facing south towards the islands of Ulva and Gometra. 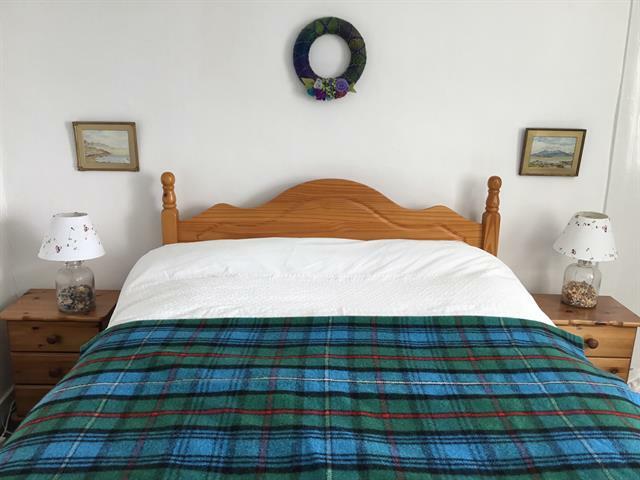 It has been our family holiday home since 1960 and is a haven of rest and relaxation that we love coming back to. The cottage is set in an acre and a half of ground which is unfenced, so you will be sharing the garden with the local sheep occasionally! 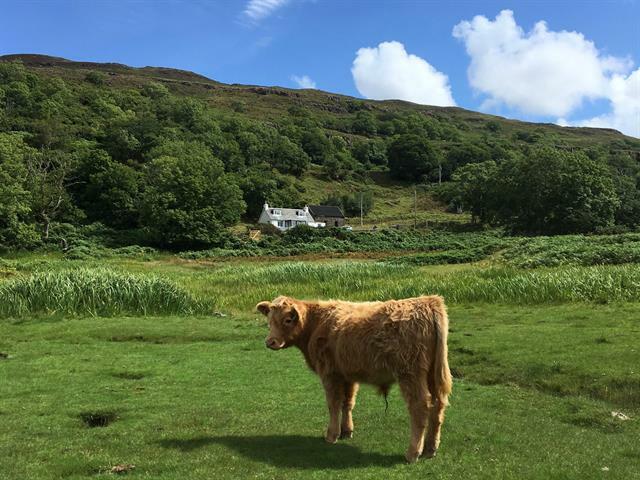 There is an abundance of birdlife in the area and in the evening you may see deer in the fields around the cottage or otters in the rocky bay. 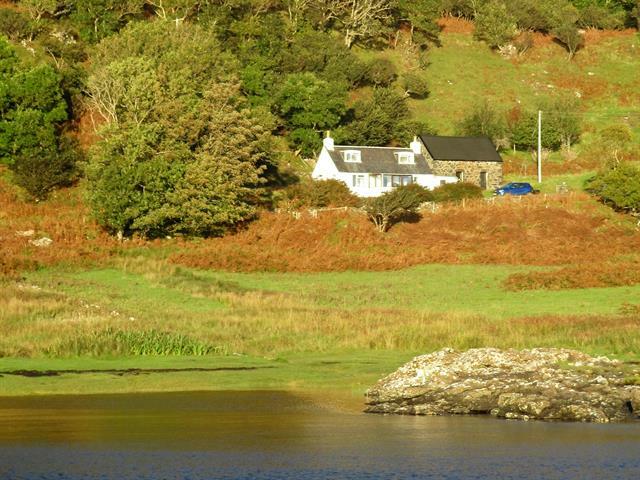 The Loch Tuath area abounds in wildlife and the location is perfect for those who enjoy a holiday surrounded by nature. 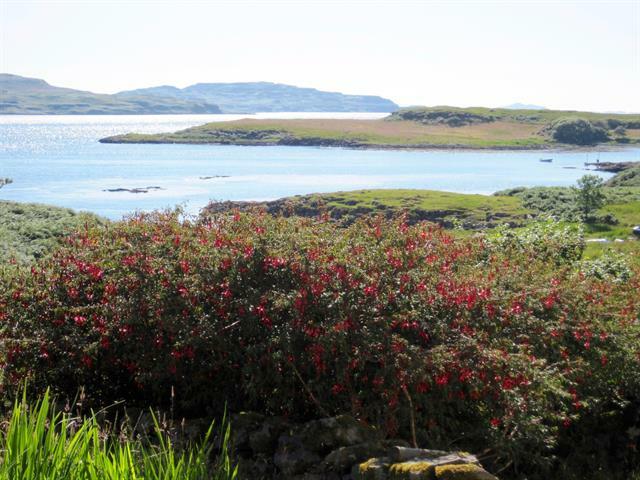 There are numerous possibilities of walks from the cottage and on the Island of Ulva - accessed by a 2 minute ferry crossing, a mere 3 miles away. 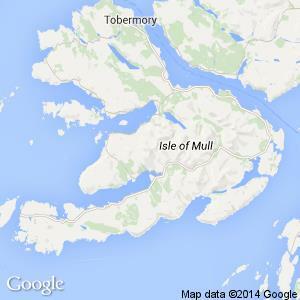 The Boathouse Cafe at Ulva Ferry is a treat not to be missed! 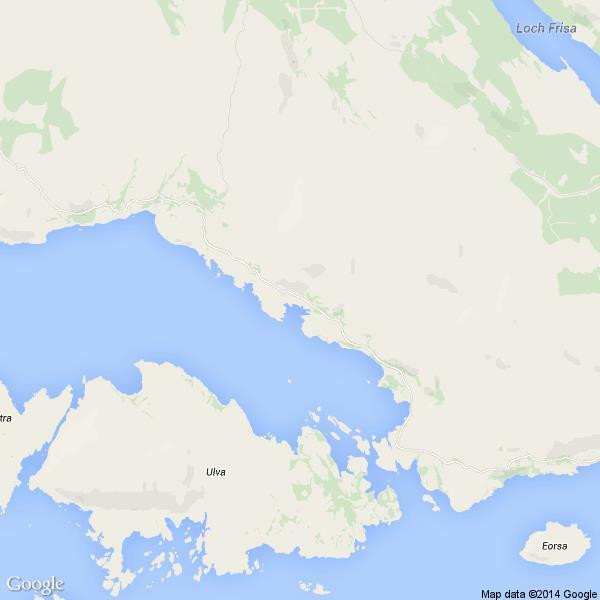 There are wonderful trips to Staffa and the Treshnish Isles with ‘Turus Mara’ who sail from Ulva Ferry <https://www.turusmara.com/>. There is accommodation for six guests. 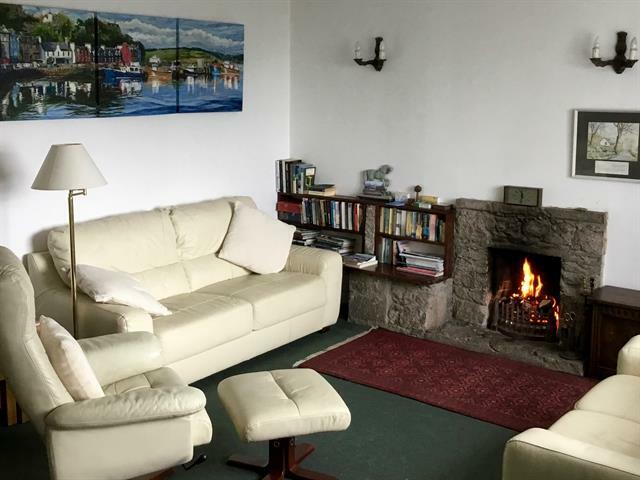 The lounge has two comfortable leather sofas and two leather reclining chairs with footstools, which are gloriously relaxing at the end of a day in the hills, by the shore or on the beach. There is an open fire with plenty of logs and coal provided for your use, all stored in the adjacent byre. You can also use the byre for your bikes or canoes. 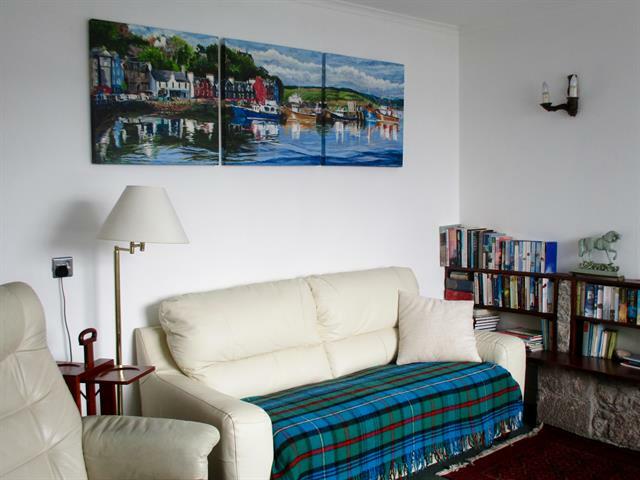 ‘Na Fuarain’ has no television, but like our family, you may enjoy the wonderful, peaceful atmosphere and the opportunity to relax and regenerate in these lovely, natural surroundings. There is a small selection of books that guests are welcome to borrow for the duration of their stay. 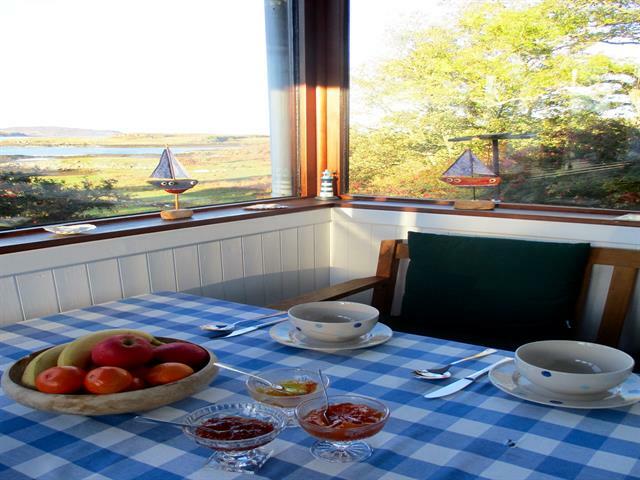 In the sun room at the front of the cottage there is a dining table with seating for six people and a perfect view of the sea. In the evening we like to light the candles at the table and watch the sun setting out beyond the Treshnish Islands. 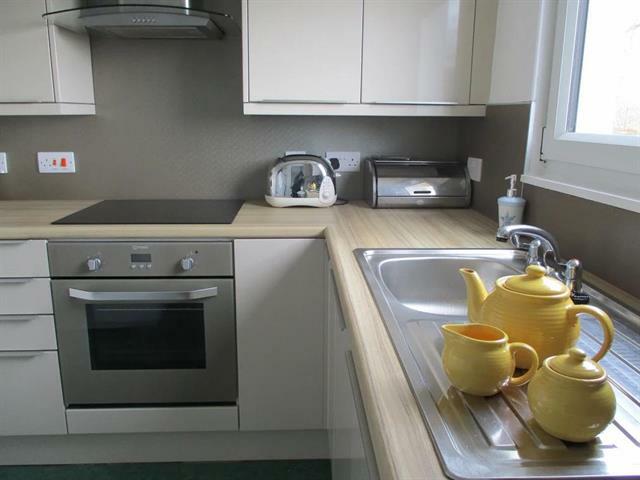 The kitchen is fully equipped with a ceramic hob and oven, microwave, dishwasher, fridge/freezer and washer/dryer. 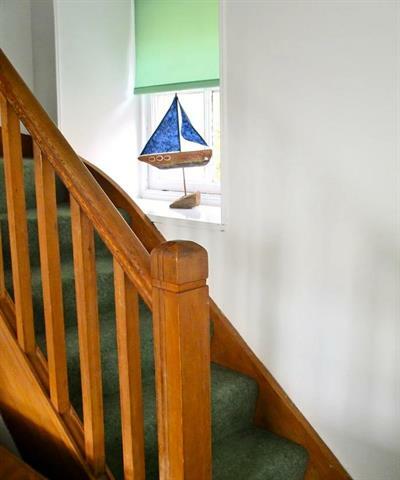 ‘Na Fuarain’ has a double bedroom downstairs and two twin bedrooms upstairs. 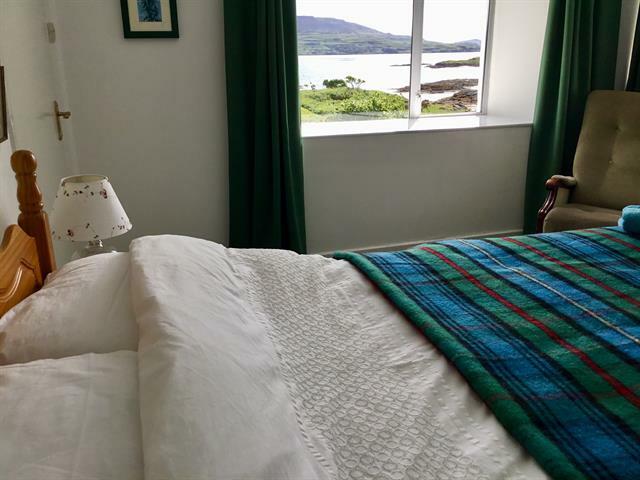 All the windows are fitted with blackout blinds/curtains so you can have some darkness for sleeping, even in summer when we have the long, bright, northern nights. 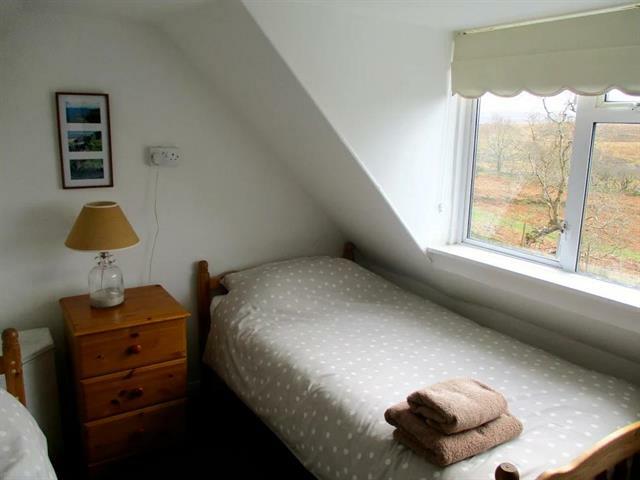 The bedding is all non-feather with bed linen and towels provided. The downstairs bathroom has a bath with an electric shower over and there is a separate toilet. There is free wireless internet access, but the speed is slow, so it can only be relied upon for checking emails and basic web browsing. ‘Na Fuarain’ has a private water supply with all the necessary filtration in place according to the Argyll County Council regulations. We do not allow pets and request that you do not smoke for the comfort of all our guests. 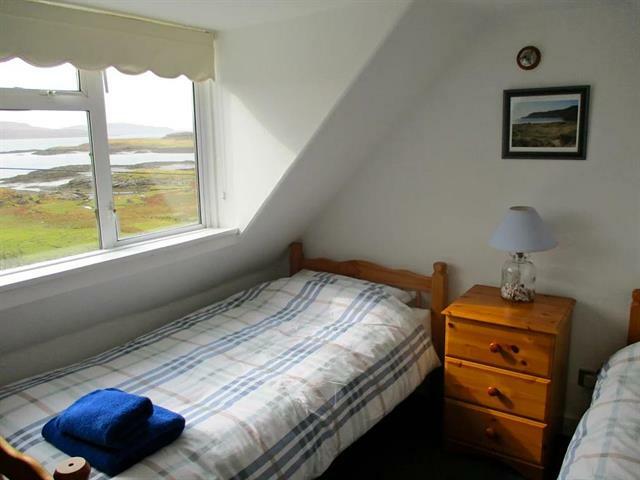 is just 200m along the road (booking is advisable). It specialises in local produce and is open for evening meals. During the day coffees and home-made snacks can also be enjoyed at the new Hen House Café, 2 miles further west on the coast road. <https://www.facebook.com/The-Hen-House-157994518202231/>.